Wait, have you been recycling fabric and glue, Ms Rice? Oh, wait, also, this means that whenever you recycle non-recyclables, people die. Neato! I’ve never seen a mixed recycling bin that accepts textiles. The future truly is a wonderful place! I think maybe fabric can count as paper sort of, if you think about it. Fabric is made from cotton, from a cotton plant. It can definitely be recycled, but from what I’ve seen you have to take it to specific places. The only mixed recycling programs I’ve encountered have restricted their range to metals, paper, and plastic. OMG what a plot twist! Can some one explain to me about this one, i am lost!!! Wait wait!! 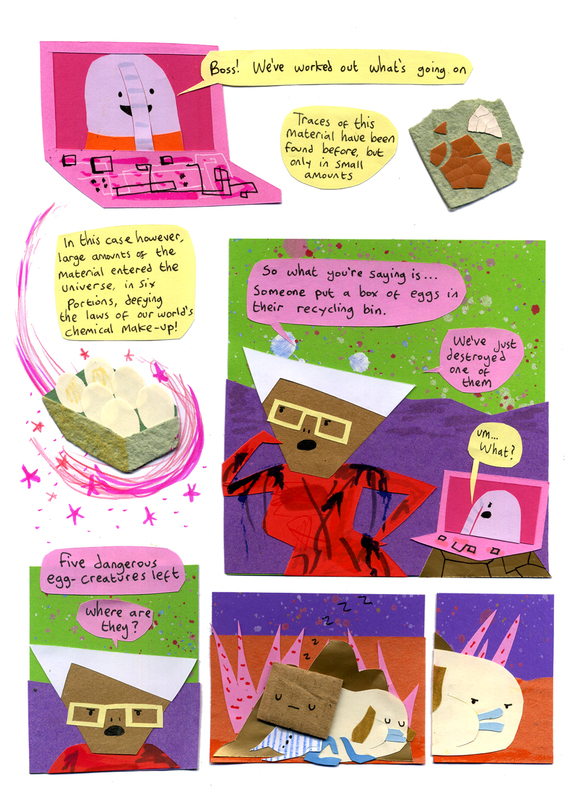 i think i get it, their world is made 100% recycled things so when the eggs came it made a new world or something?